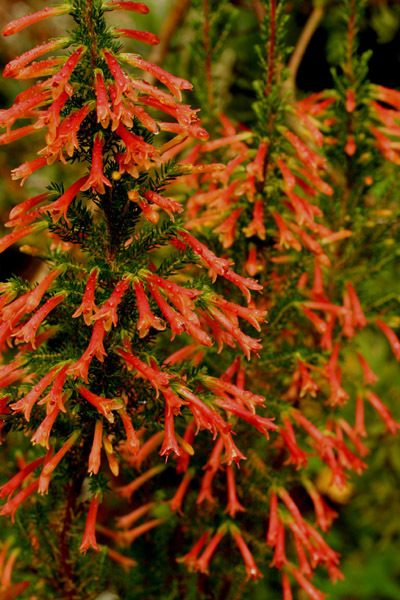 There are an estimated 21 Erica species occurring in Europe whereas something like 625 species are to be found in the South of Africa, with approximately 420 species forming part of the Fynbos ('fine bush') biome characteristic of the South Western Cape Province. 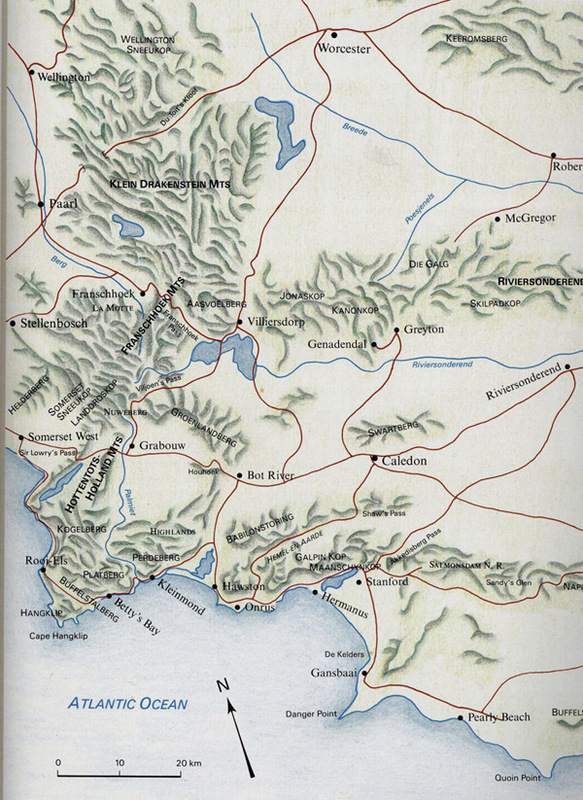 The highest concentration of species is to be found in a relatively small area centred upon the district of Caledon (See map and detailed map below). 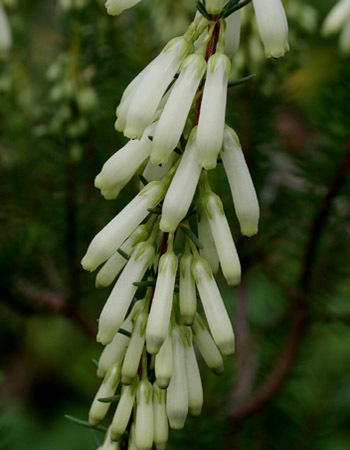 Another variable shrubby species with a widespread distribution, usually found growing near water. 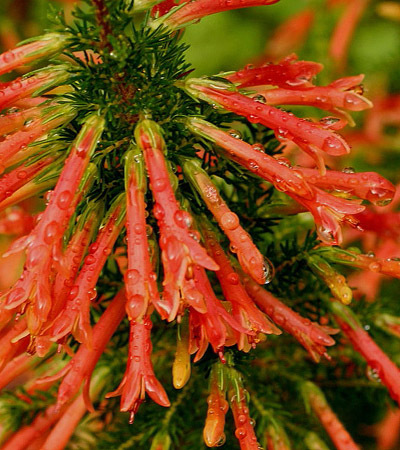 A surprising number of South African Ericas have a strong affinity with water and should do well if introduced into coastal areas of Ireland. The plants illustrated here were both grown from seed distributed by Rod and Rachel Saunders of Silverhill Seeds in Capetown. 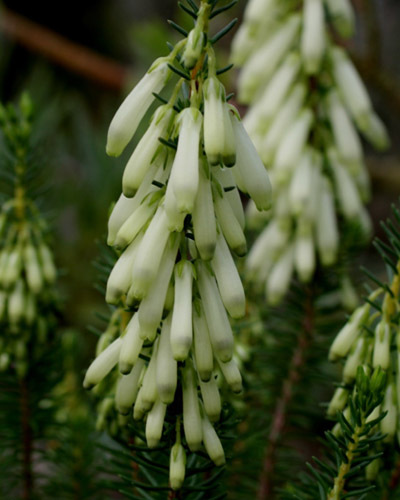 If anyone wants to attempt to grow these beautiful plants please remember that a good deal of Erica seed germinates in cold, damp conditions, and that Ericas, just like Proteas and many other Fynbos plants grow in the poorest soils imaginable. I grow them in approximately 70% pure sand and grit.